Where to begin? First a huge thank you to all who replied to my last post. It was so encouraging to hear from so many of you who are dealing with similar things. As it happens, I think God has definitely given me a wake-up call, so to speak. A couple of weeks ago, on my way to work, I experienced a heart episode which landed me in the hospital for 24 hours and home recovering for the past couple of weeks. I was blessed that everything turned out fine and I have since received a clear bill of health. While I was off work, my sister came out to help me for a week. It was so good to have her here. As my strength returned, we got a few things done around the house, namely, getting my sewing room organized and set up! I had gotten rid of a huge amount of extraneous stuff at our garage sale that I hadn't used in years, including extra fabric, miscellaneous supplies, crafty items, etc. 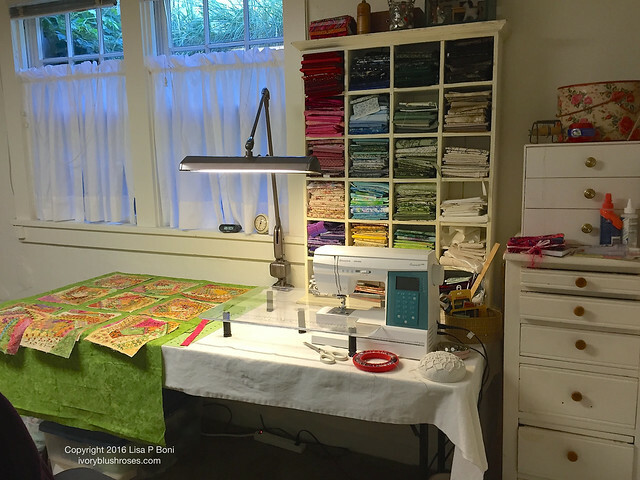 Now, my sewing stuff is so much more manageable and the sewing room has plenty of space for working, which I find inspiring! That meant it was time to get my CQJP 2015 project out and work on assembling it! 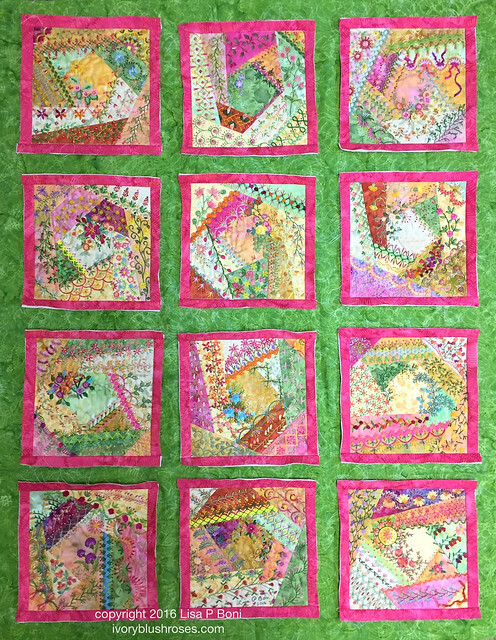 All the pink borders are on and the next step is to do the green sashing between. I'm still playing around with positioning of the blocks. So good to be getting this big project on it's final leg of the journey towards completion! 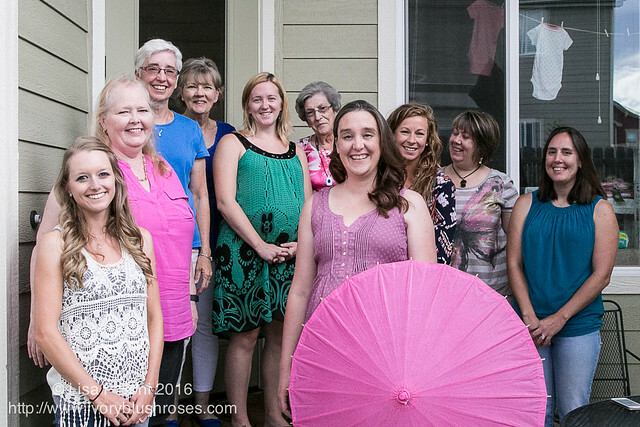 There have been two baby showers since I last wrote! How wonderful to gather with family and friends to celebrate the imminent arrival of these two precious little girls! How blessed our family is to have two grand babies coming within a month of each other! 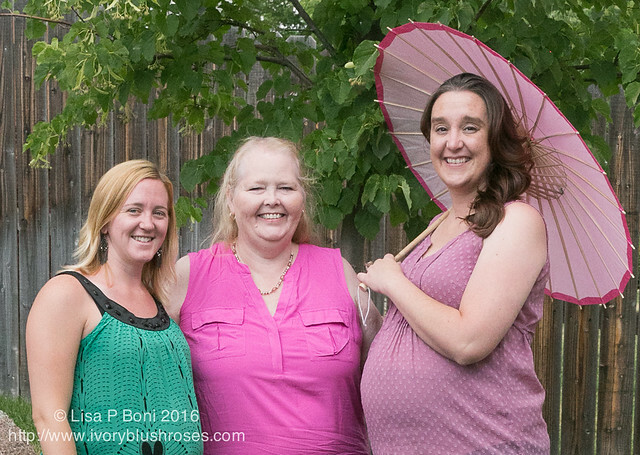 Marcy and Becca have had healthy pregnancies and I've loved watching them grow! They will both be such wonderful mothers! Truly a joy to have these two lovely young women in my family! 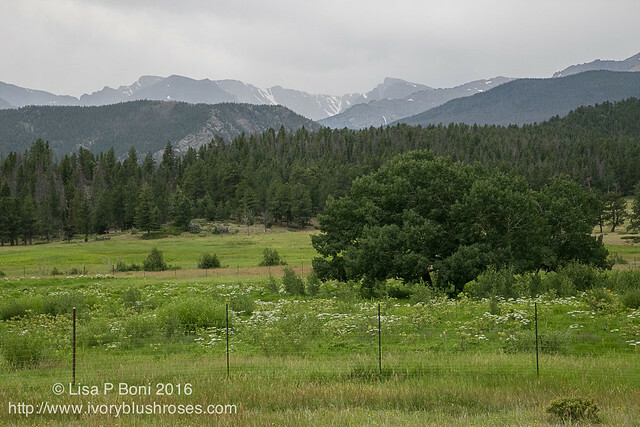 As I got to feeling stronger, my youngest son took me for an outing to Rocky Mountain National Park last week! Lovely day riding up the old Fall River Road in the park. The day started off sunny with blue skies. 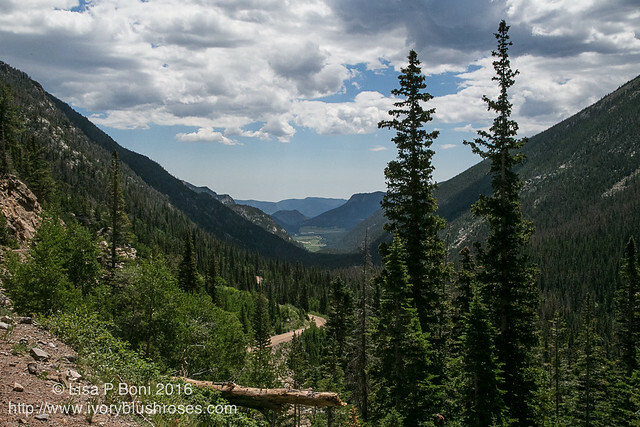 Far away on the hillside, there is an enormous elk herd resting in the cirque of the mountain. We had good views through the binoculars, though they aren't visible in the photo. 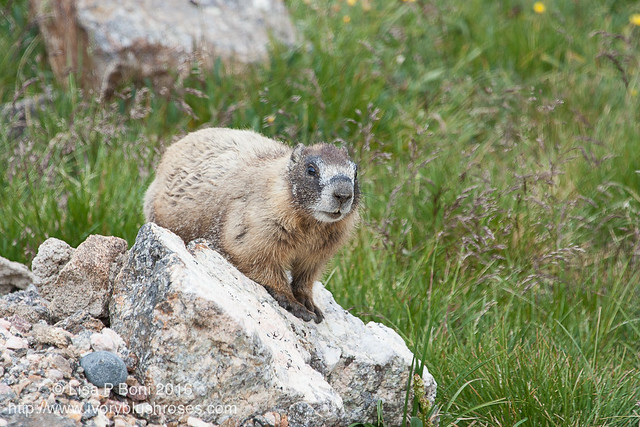 The marmots were out in force, grazing and fattening up for winter and sunning themselves on the rocks! We also saw lots of pika, busy gathering huge mouthfuls of food to store for winter! They moved too quickly for me to capture a good photo. After a visit to the top of the park, we came back down to the valleys. 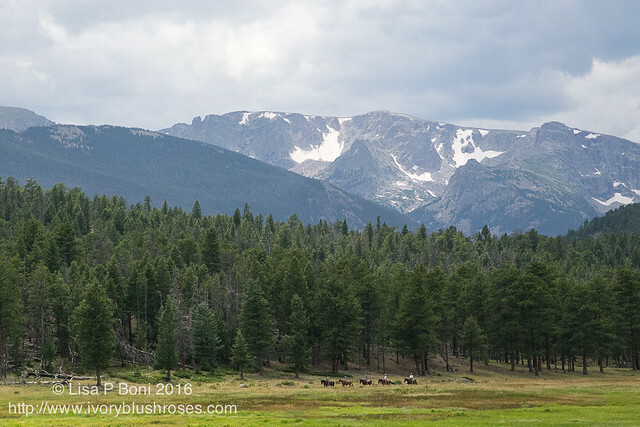 The horseback riders really put the scale of the mountains into perspective! 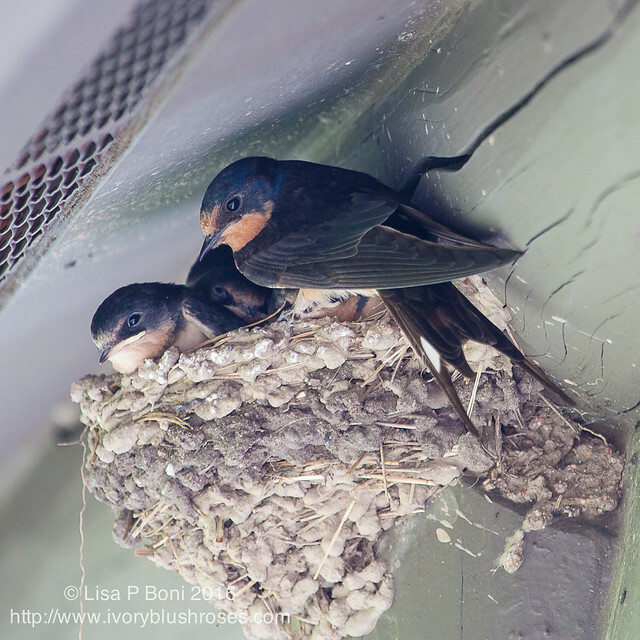 At the trailhead, we found a nest of barn swallows, almost ready to leave the nest! Busy, busy parents trying to keep them all fed! The sky was grey and overcast the entire afternoon, but that didn't stop our enjoyment! We had a very pleasant and gentle hike in this area. 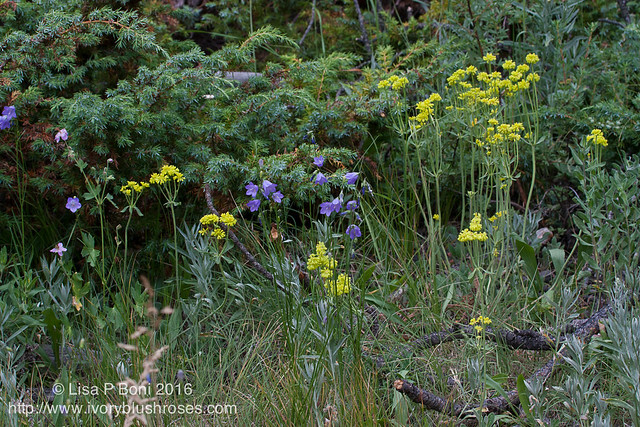 There were amazing wildflowers ~ some a bit other worldly. 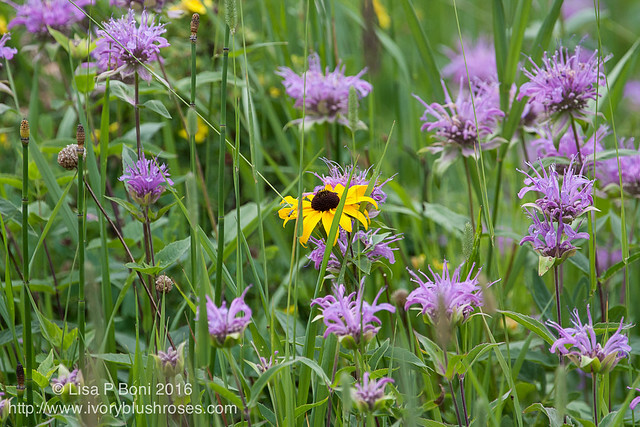 Loved the meadows full of Bee Balm and Rudbeckia. God's gardens are always magnificent! 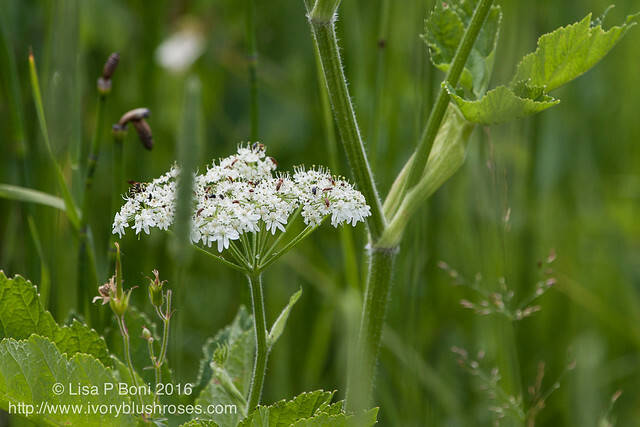 Wild parsnip. Teaming with life. 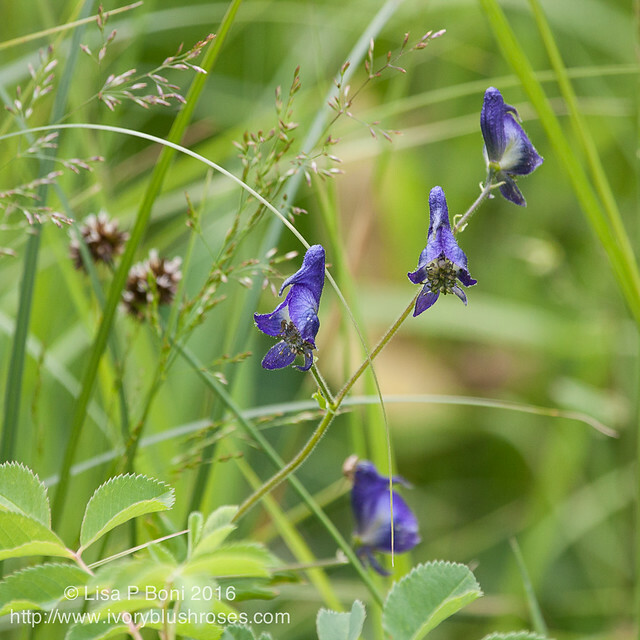 Wild Monkshood, also known as wolf's bane. 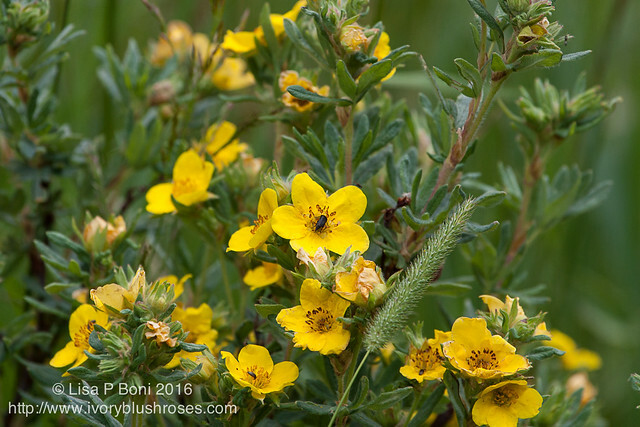 Deep golden blooms of the potentilla. 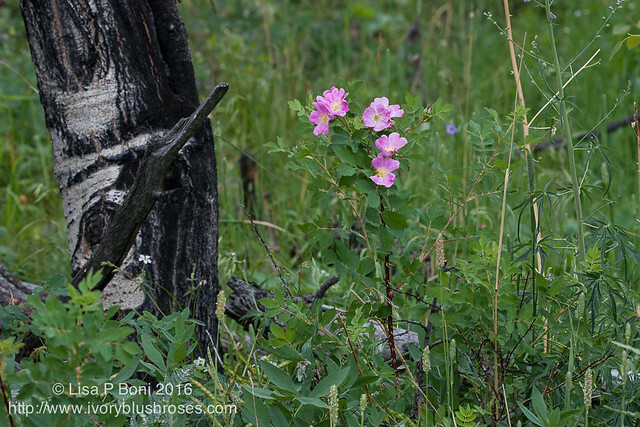 Wild roses and the old bark of an Aspen tree. 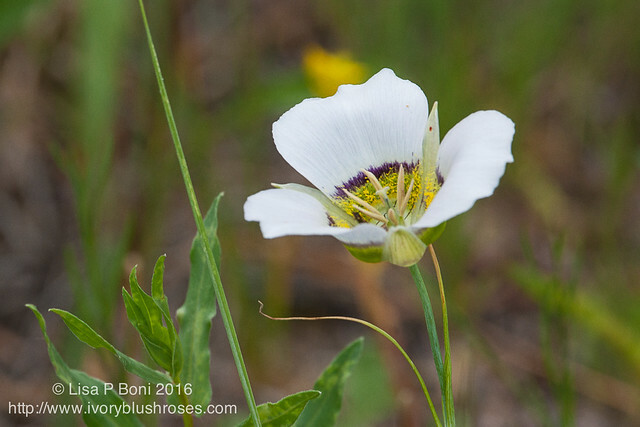 The delicate blossom of a sego lily that blooms for one day only. Here and then gone. 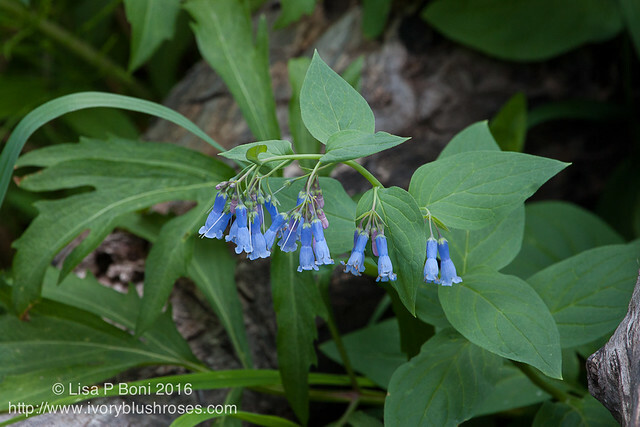 The Mountain bluebells or Chiming Bells are to me, the ubiquitous flowers of the Colorado mountains. Love them! 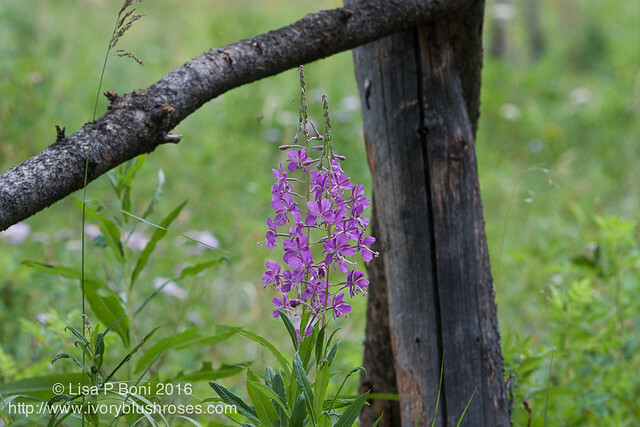 The fireweed as well. So beautiful and bright. 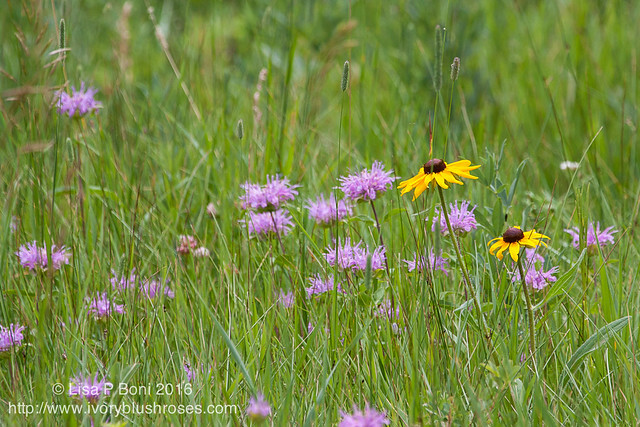 I love how certain color combinations appear together in nature ~ here the lavender blue of the hair bells and the chartreuse green of the other flowers. 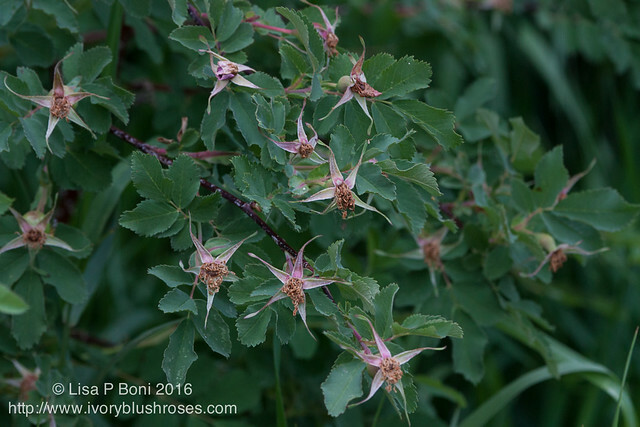 Most of the rosebushes are finished blooming and rose hips are growing in size. What is left after the blossoming is an array of stars. 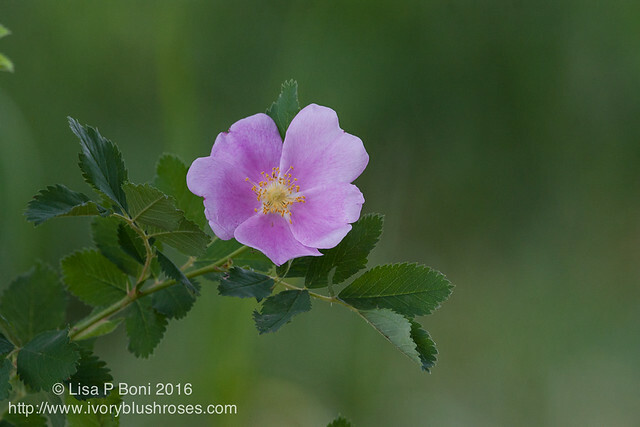 A beautiful wild rose. A perfect end to a lovely walk in the woods! Hoping to be back at work this week if the work release comes through ok. It's time to actively re-evaluate things, to seek a new plan for the next few years. With God's grace and guidance, I know the journey ahead will be filled with both challenges and blessings. How grateful I am to have a loving God who cares for me and my problems, which in light of all that must be going on in the world, the galaxy and the universe beyond must be petty by comparison. I don't know if you're a believer in omens but I'm sure many would think that having your 'episode' while on the way to work was a sign telling you that changes are coming and need to be made. How else are we to know God's will if He doesn't give us a sign? I feel sure that He has plans already in place for you and you just have to be open to seeing them. Loved your photos, btw. Dear Lisa ~ So glad you are doing so well after you heart issue. 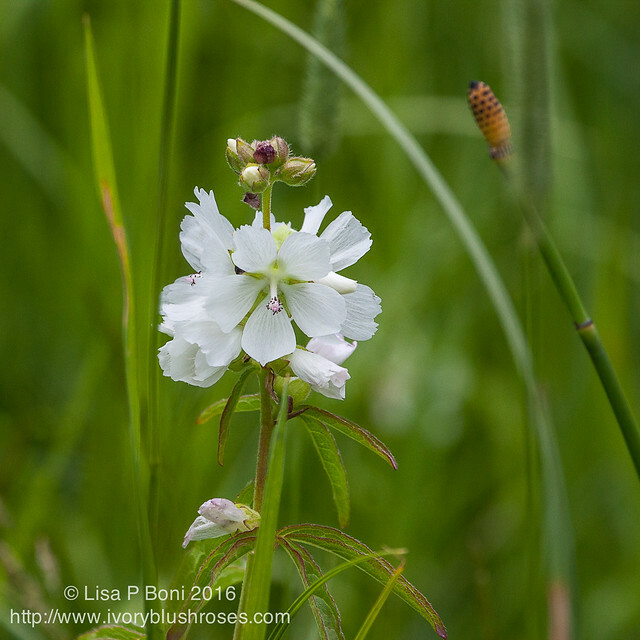 Loved your photos of countryside and wild flowers. So beautiful. Two little ones coming soon, how exciting. 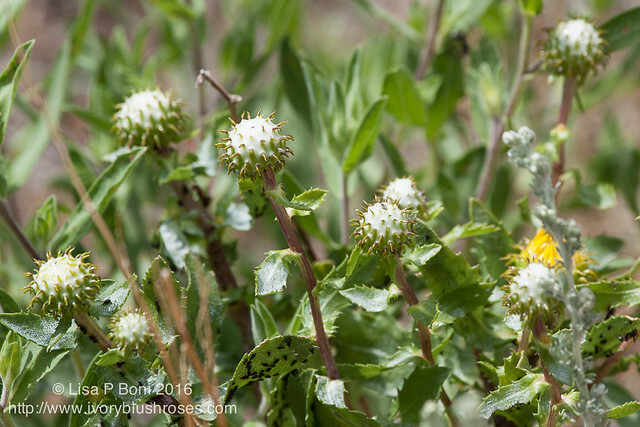 Enjoyed the wonderful wild flowers and thank you so much! 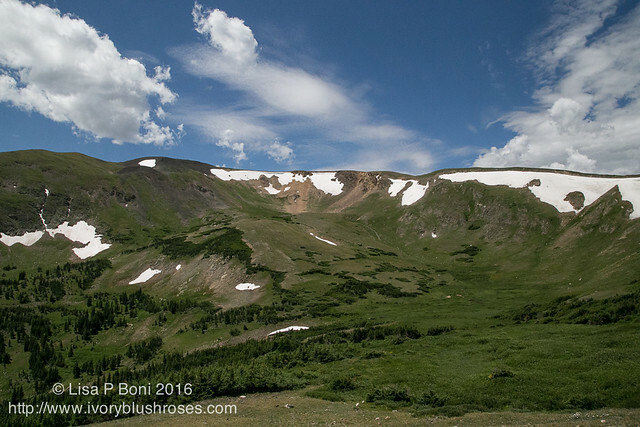 There is nothing so freeing to the soul as to view nature, whether in the mountains or enjoying your own back yard. 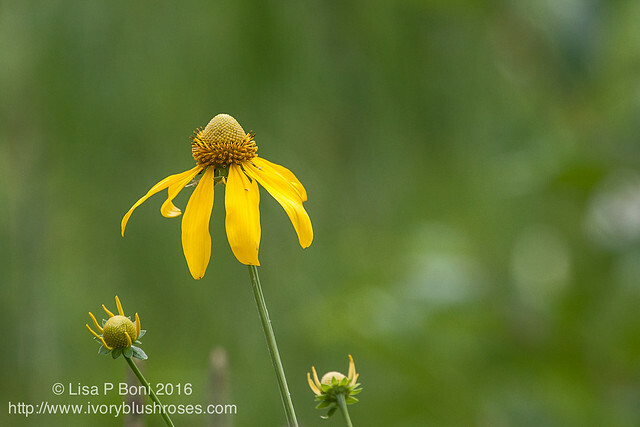 It's amazing to me that you know the names of all the wild flowers. Listen to your heart. It's telling you to de-stress.